From getting your adrenaline pumping while paddling whitewater on one of Colorado's rivers to casual cruising on mountain lakes, even after dark with our glow lights, we've got the perfect paddleboard adventure for you and your family. Getting on the water is closer than you think! Paddleboard Adventure Company is located in several places around Colorado, making it easier than ever to get out and enjoy the fun and freedom of paddleboarding! 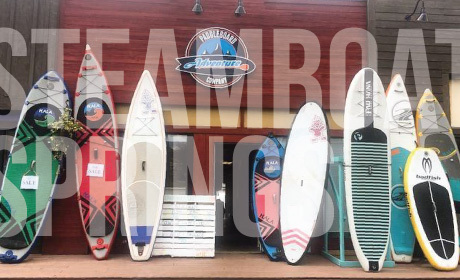 No matter if it's your first day on a paddleboard and you're looking for a lesson on flat water, or you're experienced and want to fine tune your whitewater skills, we've got a board and an instructor for you. Our range of Hala, Starboard, Glide and C4 Paddle Boards are the perfect rigs for lakes, family, whitewater, raft trips, fishing, or multiple riders. We have curated the best mix of quick and fun, and agile and stable boards. No matter your skill level, we've got a board to match your adventure. The Current Kayaks include the Solara 145T- a super new recreational tandem kayak for easy excursions on lakes or lazy rivers, and the Kestrel 140 trades a bit of maneuverability for increased efficiency, better tracking and greater stability. Learn more about our kayaks below. PAC offers so much more than paddleboards. 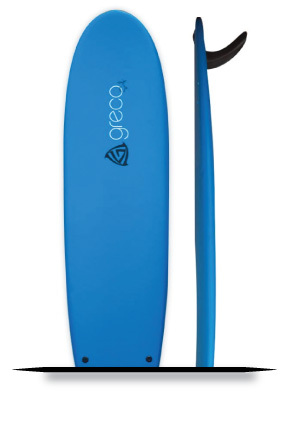 Take a GRECO soft top surfboard out to catch some waves, attach Glow lights to the bottom of your board for night excursions, or get your crew together on the C4 SUPSQUATCH. Browse our rentals for even more hidden gems! Why paddle solo when you can sup with friends? The Supsquatch from C4 is the best way to get out and explore Pearl Lake this summer. Getting on the water is closer than you think! Paddleboard Adventure Company is located in several places around Colorado, making it easier than ever to get out and enjoy the fun and freedom of paddleboarding! Headquartered in Steamboat Springs, Colorado, Paddleboard Adventure Company offers several ways and several places to get out on the water to paddleboard. Whether it be the still, peaceful water of Pearl Lake or the more busy, whitewater of the Yampa, click a heading above or a picture below to get started on your new adventure!